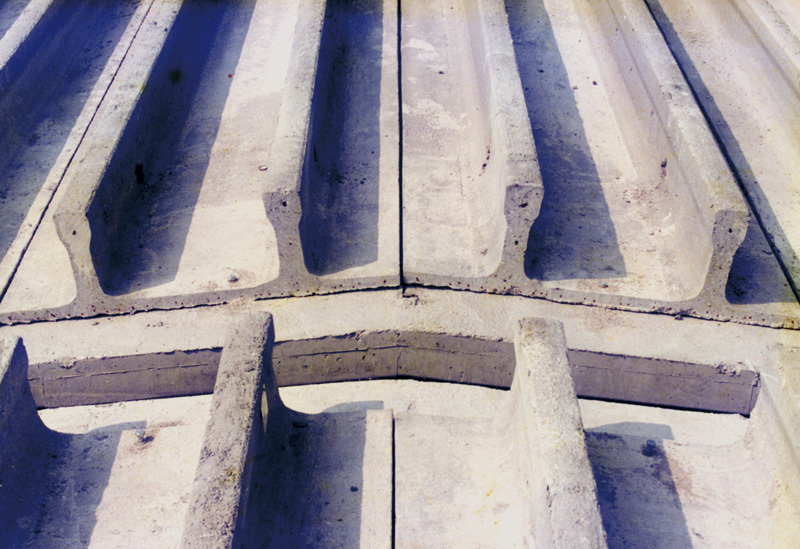 Inverted double T-Slabs are prestressed concrete elements that have a constant cross section. They are manufactured using high tensile strength prestressed strands, wires or single wire which are embedded within the element. 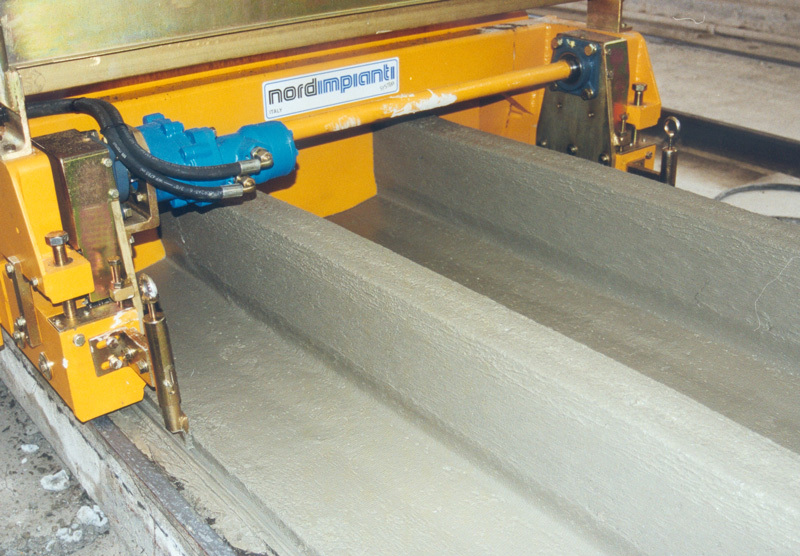 The production of these elements is achieved using our Slipformer machine that casts elements continuously on a long production bed without the need of any formwork. 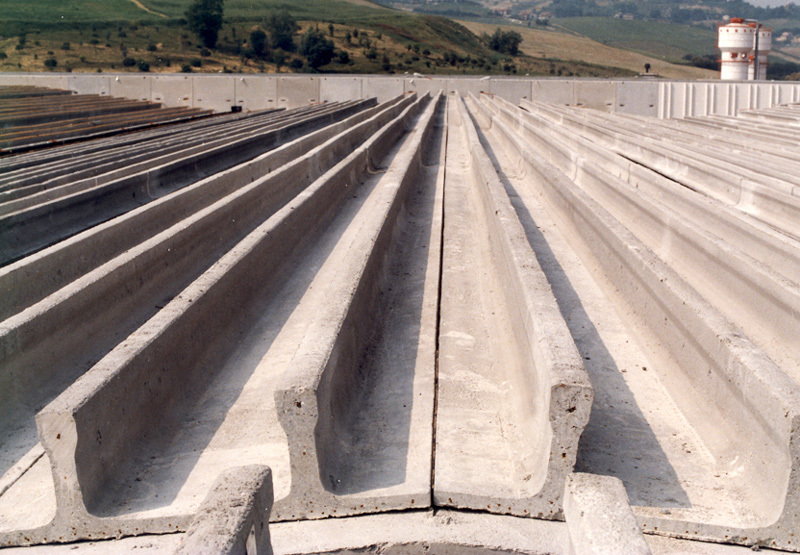 The double T slabs have a particular constant cross section with a lower slab and two high vertical ribs. On site they are placed alongside each other (to give a ready flat underside) or separated. A lighter floor can be made by using polystyrene in-fill blocks and then a floor covering or by creating voids within the floor using corrugated steel sheets or thin concrete slabs over the elements. 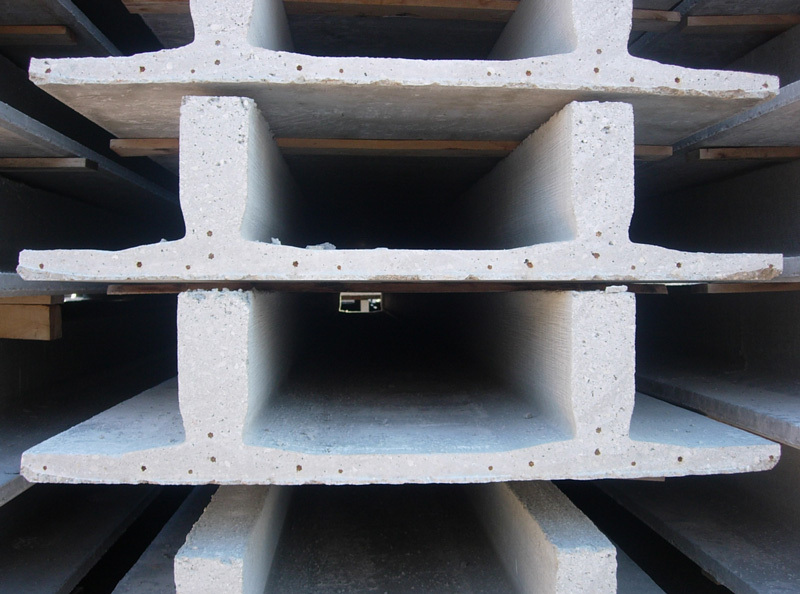 They can be used with a prefabricated structure or with an on-site cast structure with joints designed to meet the technical specifications required. The slabs can be manufactured in heights from 200 mm to 360 mm and with a standard width of 1200 mm. 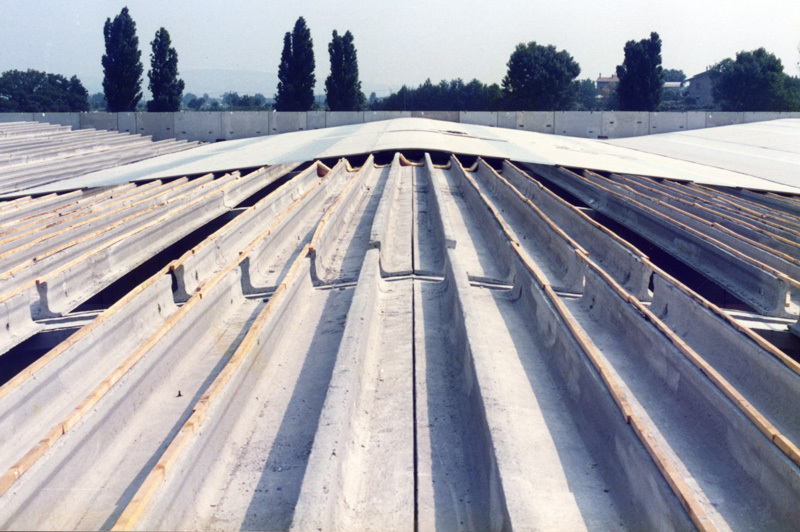 The vertical ribs give the slabs a high torsional rigidity and excellent transversal load distribution. This means that the element is self supporting during the transport and erection phase. 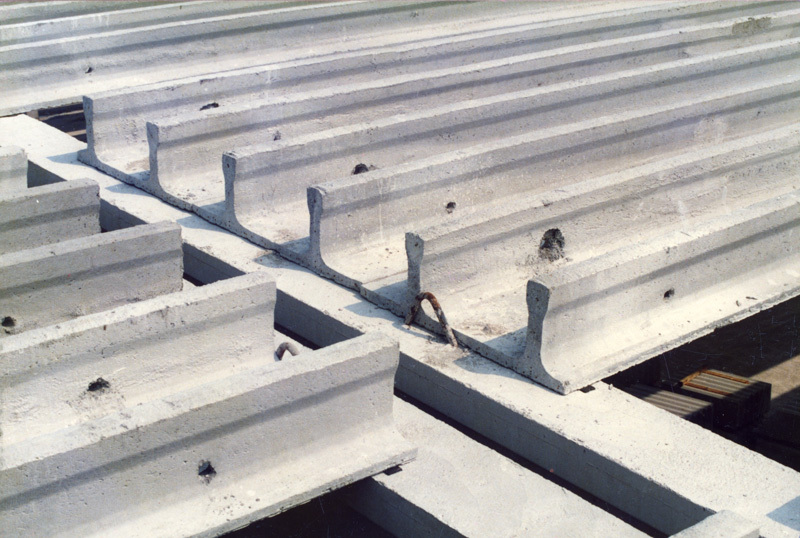 The lower part of the slab is reinforced with steel mesh. 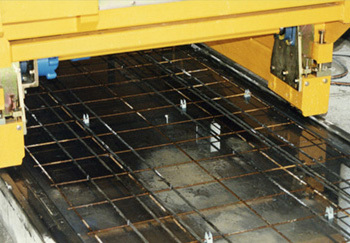 The lower surface of the element is smooth having been produced on a steel casting bed. Generally this surface can be left as seen or can be simply painted. In residential applications only final smoothing is required greatly reducing costs.